Following the increased number of new members posting requests for help and information on how to open safes, please take a moment to read this information. Whatever your safe or nature of your enquiry, it is usually worthwhile to try the search function at the top right of each page, as most safes have been encountered before and most relevant questions already asked and answered in the past. 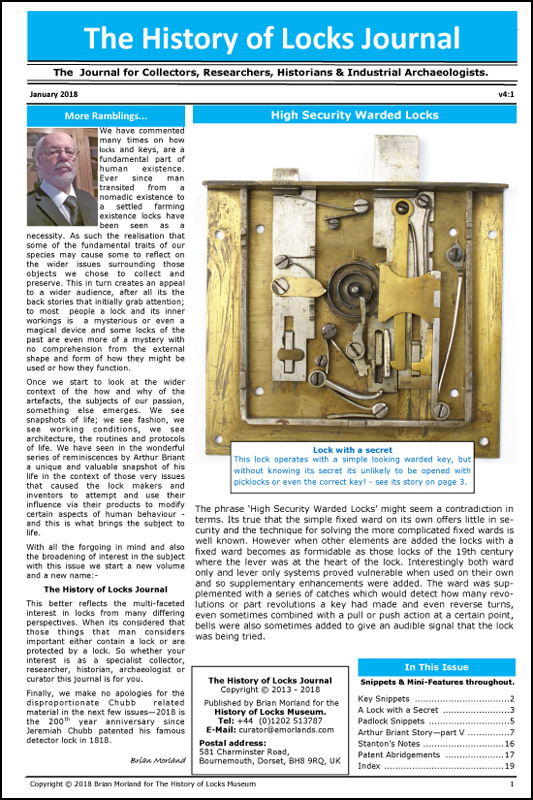 The forum is intended for the discussion of antique and vintage safes, strongrooms, vaults and their associated hardwares and histories. It is not intended an open resource for technical advice or information, and it is not for the open discussion or exchange of opening techniques, methods or sensitive information. Where technical content outweighs the antique or historical discussion, threads and posts may be moved to relevant forums accordingly. Remember that the members here choose to answer any questions or provide information at their own free will and without obligation. Situations where members cannot provide sensitive information are any requests where the safe is locked and you do not have the keys and/or combinations that are obviously needed to unlock it. Members will not respond to requests or questions regarding lock picking, manipulation, by-pass methods, drilling points or entry techniques whether locked out or not, regardless of circumstances. WE DO NOT OFFER A FREE WORLDWIDE SERVICE TO OPENLY TEACH COMPLETE STRANGERS HOW TO OPEN SAFES VIA THE PUBLIC DISCUSSION FORUMS OF THIS SITE, SO PLEASE DO NOT ASK. In such circumstances you will need the services of a professional safe technician or competent locksmith, in which case members might suggest a referral or recommendation if possible, depending on your circumstances and location. Last edited by Huw Eastwood; 10-10-17 at 09:12 PM.